Nathan's Honing Oil is an all natural sharpening lubricant that helps keep stone pores from becoming clogged. Use during and after sharpening blades to lubricate natural or man-made benchstones and sharpening hones. 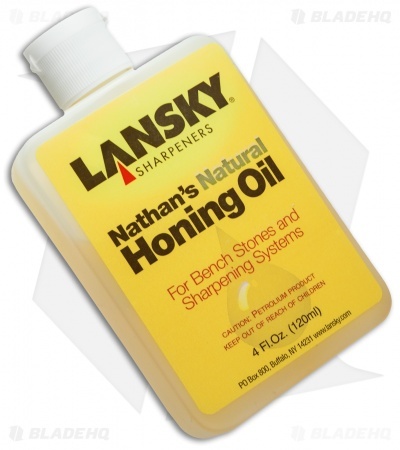 This product has been specially formulated by the world leader in sharpening systems. 4 fluid ounces.